There are many interesting and exciting things to do when you are spending your free time. Each person has his interests and hobbies such as reading books, watching TV, going in for sports. If you want to discover Ukraine, start from its capital Kiev! The Dnieper River is large and beautiful. The main Street of Kiev Kreschatyk will impress you by its huge chestnuts. A monument of Kyi, Schek and Khoryv, and their sister Lybed will tell you a lot about Kiev's history. Kiev is a great place for meeting your future wife. A lot of lovely young women live here. Many of them want to create family with a man like you. How can you meet them, if you don't plan to visit Ukraine in the nearest future? Just become a member of a Ukrainian dating site and meet ladies from Kiev online. Women from Kiev are not only beautiful, but clever and modern as well. Kiev is one of the most developed cities of Ukraine, so here you can find a woman who can make a career. However, Ukrainian girls often refuse from their job when they meet a man and plan children. 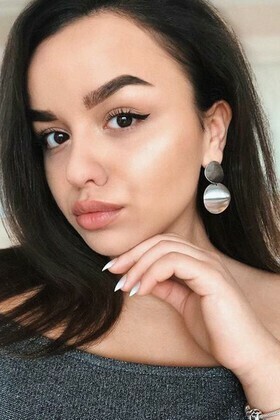 They have been sought for as wives and lovers for centuries, that's why a women from Ukraine are prominent in the international marriage and dating industry. Ukrainian women are mostly Christians, they speak both Ukrainian and Russian languages. Foreigners who come to Ukraine think that they found themselves in heaven. There are so many beautiful ladies around! Men from various countries come away with the same impression. Woman in Ukraine take care of themselves. It is frowned upon for a woman to become obese, that's why women often visit fitness and lead healthy way of living. Join UaDreams.com to meet women from Kiev! It is a dating site where you will see profiles of hundreds of beautiful Ukrainian women who are looking for their soulmates. They are beautiful, intelligent and family oriented. In the Gallery of Ladies you will see hundreds of profiles, and many of these women come from Kiev. The agency carefully watches over that the Gallery contains only really intetested ladies. That's why there aren't thousand ladies on UaDreams, like in other agencies, but only several hundreds. Each lady is personally interviewed and her documents are checked to be sure that she is not married. You can write your first letter to any lady from the Gallery for free. Write about your hobbies and your dreams and ask her about something you are conscious about. Send her your photos, show her what you like and where you have traveled to. Ladies will be very interested to know more about you.